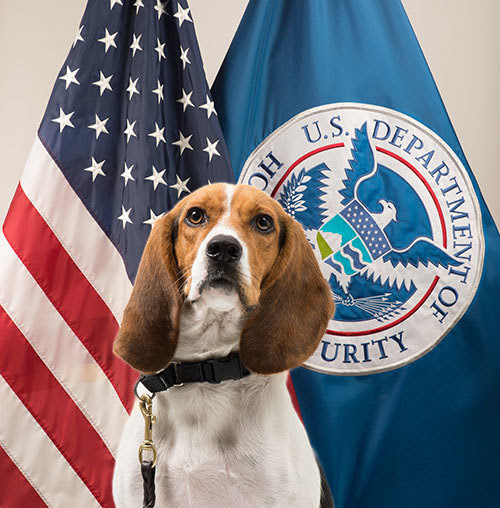 “Beagle Brigade” member Hardy’s official photo. Last week, USDA-trained detector dogs played a major role in the seizure of roughly 1 million pounds of pork smuggled from China where there is an outbreak of African swine fever (ASF). The highly contagious and deadly disease affects both domestic and feral (wild) pigs and there is no treatment or vaccine available for it. Secretary of Agriculture Sonny Perdue talks about the very real threat of African Swine Fever, and what USDA and all Americans can do to keep this disease from entering the U.S.